One four-star recruit is gone, but there’s another on the horizon. This evening at 5:00 pm Jared Casey will announce his college commitment on Twitter. Casey took an unconventional journey to Division-I football. The explosive linebacker started his high school career at Trinity. After two years he transferred to Ballard, but was stuck on the sideline with a shoulder injury throughout his entire junior year. Without any film, college scouts did not recruit Casey, until one spring weekend in Tennessee. The unranked recruit dominated the Nashville Rivals camp to earn linebacker MVP honors. Soon after Casey earned a four-star ranking and offers from Oregon, Kentucky, Louisville and more. Vince Marrow was one of the first to visit Casey following his recruiting explosion. However, Marrow could not seal the deal the first time around. Casey initially committed to Oregon in October. Once UK’s season ended, Casey hosted the Kentucky coaches for an in-hime visit. A day later he de-committed from Oregon. Shortly after last week’s decision, Casey was in the stands when J.J. Weaver pledged his allegiance to Kentucky. Tuesday night Marrow returned to Louisville for an in-home visit with Casey’s family. Most recruiting analysts now believe Casey will commit to UK, with 69 percent of the 247 Crystal Ball picks in the Cats’ favor. It’s technically the “Home Depot College Football Awards Show,” but they should at least consider a temporary name change. The show begins at 7:00 on ESPN, but Allen could earn a few more honors before it begins. The Walter Camp All-American Team will be announced prior to the ceremony, as well as the Walter Camp National Player of the Year, which will be revealed on the 6:00 pm SportsCenter. A Red Carpet Special from the awards show begins at 6:00 on ESPNU. You can afford to miss that, just don’t miss the beginning of the show. Based purely off this PR lineup, the Bednarik Award will be the first honor passed out tonight. Don’t miss Allen’s night in the spotlight. Kentucky will return to the hardwood in two days when the Cats travel to Madison Square Garden to take on Seton Hall. Before the team departs for New York City, John Calipari and a few players will speak to the media at approximately 2:00. Keep it locked here for all the coverage you need. The Kentucky commit scored 38 points Tuesday night in a variety of ways. Unfortunately, it wasn’t enough. Maxey’s team lost on a lay-up as time expired. The former UK recruit is reportedly down to Duke and Michigan State. He’ll decide today around noon. If you want to know who could potentially commit to Kentucky, you should listen to the latest episode of Hardly Committed. T.J. dishes on the Matthew Hurt visit and much, much more. Download and Subscribe ASAP. It’s cold in Kentucky, but Aaron Torres is bringing the heat from the West Coast. Later today he’ll be joined by Verne Lundquist on the Aaron Torres Sports Podcast. Uncle Verne tells quite a few tales throughout the interview, including a story about that time the Hall of Fame broadcaster and Terry Bradshaw just made up an NFL player for an entire season. The PAC-12 team was actually the victim of a buzzer-beater. Washington took Gonzaga down to the wire in Spokane. The game was tied until Rui Hachimura hit a turn-around with less than a second remaining. After months of shooting throughout the Commonwealth, tonight the hit reality cooking show will finally debut. The first episode of Top Chef: Kentucky hits the Bravo airwaves tonight at 9:00. 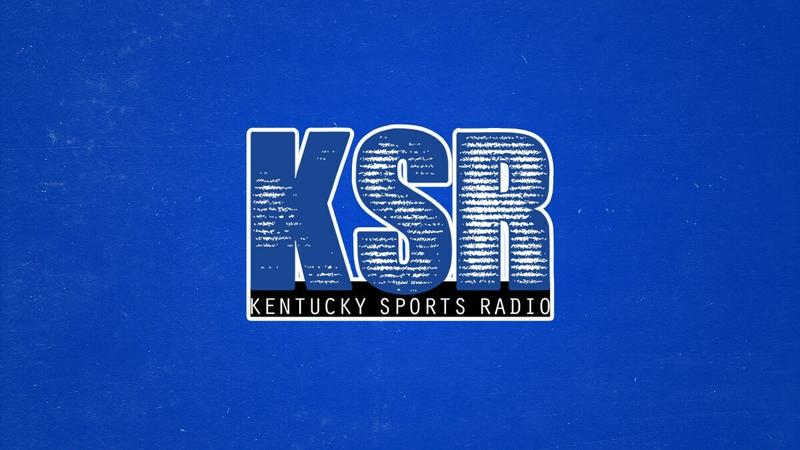 In case you miss it, Mrs. Tyler Thompson, KSR’s resident Top Chef fan, will share the best of the best after each episode. The KSR crew spent another day north of the border. Shannon the Dude spent another night sleepless, wondering how one person could ever make so much noise while unconscious. They’ll be back on the air at 10:00 am with stories from their evening with the U.S. Ambassador to Canada. C’mon Jared ole buddy don’t let me down! Somebody get that man a CPAP machine!